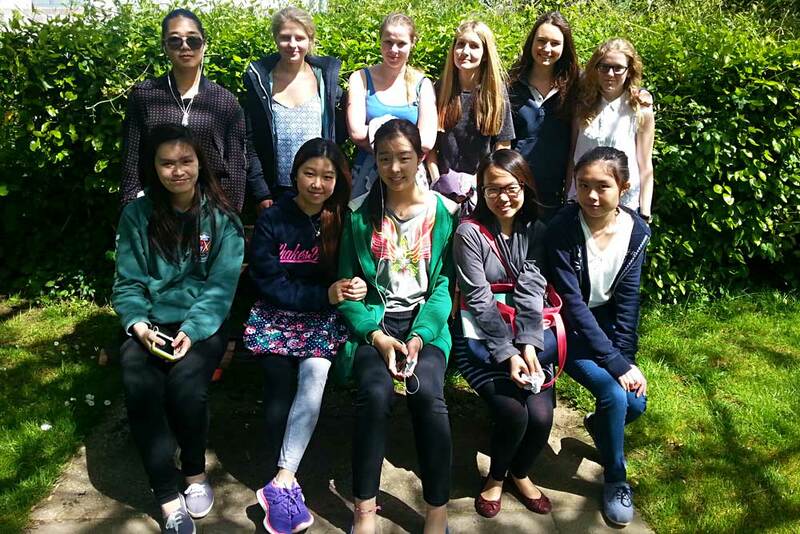 As the GCSE and AS Level exams are now well under way, the Malvern girls have been studying hard all week. In fact, Mrs Murphy and I are incredibly proud of the dedication and level-headedness they have shown so far, and, we’re sure, will continue to exhibit – well done girls, only one more week until half term! On Friday evening, we said goodbye to Claudia and Sophie who had spent the week with us on one of the study packages that we offer during exams, and Hannah, Nancy and Megan also set off home for the weekend. Emily was spending the night at a friend’s house too, so it was pretty quiet in Malvern. Carissa worked hard on her Spanish with Marta, our Graduate Assistant, and the other girls studied and relaxed in fairly equal measure. On Saturday morning, Nini headed off to the school gallery to work for the day, and Agne went into town to complete her weekly volunteering stint at a local charity shop. In the afternoon, we decided that a little R&R was in order for the girls, so we took them out to a Juice Bar in town for healthy fruit smoothies. At least that was the idea, most of them preferred the milkshakes, cakes and full-fat paninis that were on the menu instead, and why not? Alice was served the biggest slice of chocolate cake in the world, so large in fact that it defeated her, but full marks to Veronica who managed to finish her gigantic slice of coffee cake! A few of the girls popped into Top Shop on the way home for a quick bit of browsing, but otherwise it was back to the books, well fuelled with sugary treats. I attach a photo of the girls taken in the lovely May sunshine! In the evening, Carissa studied in the school library, while Penelope, Veronica, Ankie and Christy went out for dinner in town. Ally and Anna ventured as far as Tesco’s and returned with ice cream and other luxuries (for which Benny was very grateful! ), while the other girls studied, chatted and watched DVDs. Tomorrow, the girls will enjoy a bit of a lie in before our fabulous Sunday morning brunch. The sports centre will be open all day so that they can exercise both their minds and bodies, but otherwise, the revision will continue apace.